To document the changing world of configurators we started to publish an annually report about the status quo of product configurators in the internet. The Configurator Database Report 2016 is a listing of the 1200 international web-based product configurators which are included in the Configurator Database. This research and documentation platform was started in 2007 and grew to the biggest collection of online configuration tools that are used in mass customization approaches. The aim of this report is to provide market information, statistics and an overview about different product configuration offerings of mass customization companies. 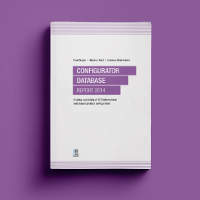 The Configurator Database Report 2015 is a listing of the 1050 international web-based product configurators which are included in the Configurator Database. This research and documentation platform was started in 2007 and grew to the biggest collection of online configuration tools that are used in mass customization approaches. The aim of this report is to provide market information, statistics and an overview about different product configuration offerings of mass customization companies. 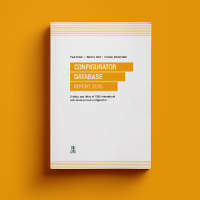 The Configurator Database Report 2014 is a listing of the 970 international web-based product configurators which are included in the Configurator Database. This research and documentation platform was started in 2007 and grew to the biggest collection of online configuration tools that are used in mass customization approaches. The aim of this report is to provide market information, statistics and an overview about different product configuration offerings of mass customization companies. 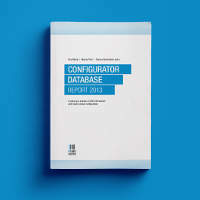 The Configurator Database Report 2013 is a status quo analysis of 900 international web-based product configurators which are listed in the Configurator Database. The aim of this report is to provide market information about mass customization, statistics and insights on different key variables used in product configuration systems.